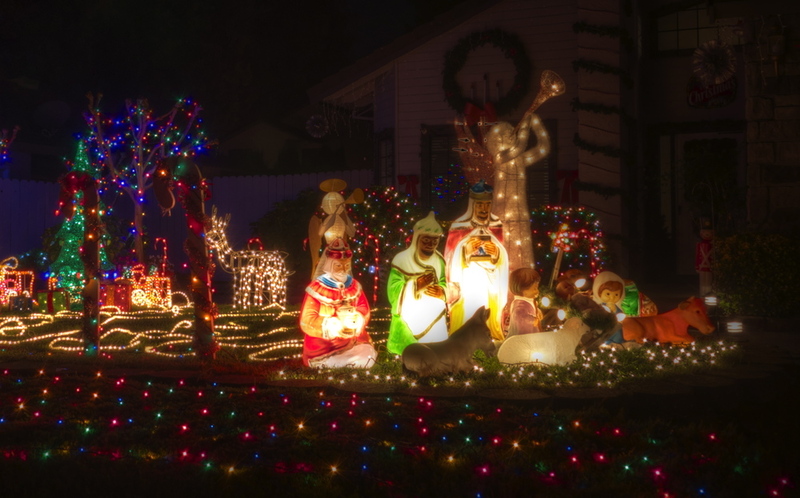 With so many holiday displays that are whimsically charming, one might think that a traditional nativity scene is boring. Not so. This house's front lawn was very well lit and not without some tech. The large angel had motorized wings that moved slowly as I took some long exposures. Traditional Nativity, Candy Cane Lane.